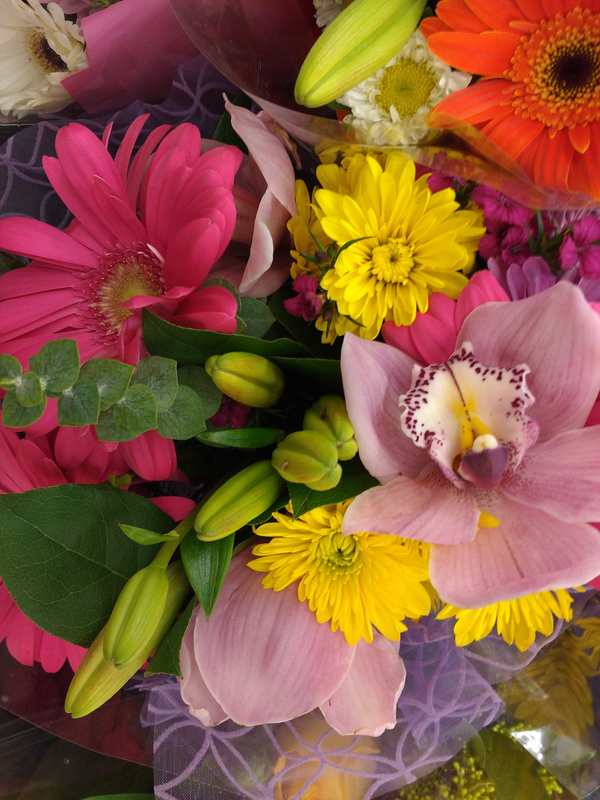 Free high resolution close up photo of a bouquet of colorful flowers. This bouquet contains a variety of flowers including types of asters and lilies. Free image for any use.